What is DBA and Why DBA required? Any type of information, details is called as data. Collections of data are stored in database. Data are important for every company, bank or person. Those data are needed to insert, retrieve and manipulate faster from database. Database should be protected to prevent access anonymous. Database should be needed to access by authorized users. Maintenance of space, user, security, storage, backup, data movement etc are also important of database. These all important tasks are called as database administration and tasks are performed by Database Administrator (in short called as DBA). 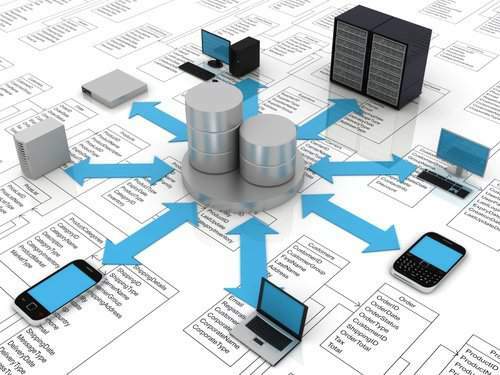 Hence, all important database activities are carried out by Database Administrators like space management, user management, segment management, backup & recovery, performance tuning, disaster planning, database security, upgrade, migration, patching, data movement etc. Database is managed by database administrator and DBA is short form of database administrator. In 24/7 running databases and OLTP databases, database administration is more important and critical to maintain. Oracle DBA plays very significant role in global corporate world. Without Administrator, databases are not purely sustained to achieve every corporate goal like 24/7 running databases, large databases, data warehouse, e-business, ERP etc. Oracle DBA is playing key role in every companies and finance sectors. Core DBA, Application DBA, Development DBA, Oracle APPS DBA, Data Warehousing DBA are major roles of Database Administrators. Configure Database for minimize contention, performance bottleneck and strong security. Ensure sufficient disk space and allocation of space to segments as well as schemas. Consider application characteristics for creating new database and maintaining existing database. Ensure that contiguous blocks per write and read are set high. Deployment of strong disaster management. Creating strategy for disaster management and high availability with "0" data loss. Optimizing database resources using smart computing concept for getting maximum advantages. Understanding operating system characteristics and storage network concept to opt high performance of Database server. Database administraror is resposible for managing database upgrade, migration and patching. Some of database administrator tasks are more critical. Troubleshooting of ORA errors, Disaster recovery, database corruption, performance Tuning ets are more serious issues. These all significant issues resolution is required high experience and expertise in Oracle Database administration. Fresher Oracle DBA and intermediate Oracle DBA can’t able to resolve these problems. Issue is becoming more critical and serious because of lack of experience and expertise. Nowadays, it is not easy to obtain expert Oracle DBA and high experience Database Administrator from market. After recruiting, there is not guarantee for stability of expert resource in company. It is very costly to acquire specialist DBA from market every time. Therefore, remote dba services is becoming more popular in global corporate world. Dbametrix is highly experience and expert remote DBA. Dbametrix offers remote DBA services for Oracle databases with strong SLA and SLM as per requirement of client. Manage your business critical systems with fewer people, and at a lower cost. No need for over-staffing to provide redundancy. Lower Cost over traditional employee based DBAs. Customizable remote dba support plans to fit your requirements. No need to worry about DBA on vacation, leave, training. Highly experts, certified and well experienced Oracle Professionals.